It turns out there's some science behind the art of complaining constructively. No one likes a complainer — or to be labeled as one. But between the daily grind causing constant inconveniences, things going awry at work and the inevitable stress of our personal relationships, voicing a complaint here and there ends up becoming all but unavoidable. Complaining has a negative connotation, and is viewed as a bad thing by most people — especially if you work in an industry where customer satisfaction is key to success. But is there anything to be said for making your opinion on a given situation heard by the person causing it? Can doing so actually improve a relationship you have with someone? Is there an art to complaining in a way that actually brings about a positive result? Constructive complaints are solution oriented, versus unfiltered rumination on negative experiences. As it turns out, there's some science behind the art of complaining. Here's a look at how complaining can improve your mental state, boost your overall level of happiness and even benefit your relationships — if you do it the right way. What makes an effective complaint versus one that's just going to make the situation at hand feel worse? Shadeen Francis, a licensed marriage and family therapist practicing in Philadelphia, says that one key differentiator is whether or not you've got a solution in mind. "Complaining for the purpose of resolving a concern or grievance is helpful for mental health, as it is a way to channel your needs into actionable outcomes," she says. "This can lead to positive experiences like self-awareness (mindfulness) and happiness." And there's research to back this up: A study conducted by Robin Kowalski, a psychology professor at Clemson University, found that the more pet peeves participants had about current or past relationships, the less highly they ranked themselves in areas of happiness and mindfulness. In the paper, Kowalski and her colleagues concluded that mindfulness "may be a means of attenuating one’s likelihood of expressing pet peeves when one is feeling happy. Perhaps people who are more mindful modulate the type of complaints they offer, preferring to engage in instrumental types of complaints over expressive complaints, thereby expressing complaints only when they believe they will accomplish desired outcomes." Francis echoes the effectiveness of complaints that are solution oriented rather than ruminating on a pet peeve that can't (or won't) be fixed. "It makes a difference whether you are approaching from unfiltered negativity or if you have a positive overall outlook and are making a specific complaint about an experience that is troubling you," says Francis. "Complaining without potential solutions or the intention of positive outcome fuels further negativity, and is off-putting to those you are complaining to." "Short bursts of complaints are preferable so stress hormones don't build." Complaining as a means to an (better) end is key — doing so without a plan of action is where your mental state starts to feel the effects. So it's no surprise that venting, or going on one long rant, is harmful to our mental health. Aside from not having a favorable outcome in mind, venting is also typically the result of holding something in that's been eating away at you for too long — which comes with its own set of health implications. "Holding in feelings has a negative impact on mental and physical health," explains Stephanie O'Leary, PsyD, practicing in Westchester, NY. In a study published in the Journal of Consulting and Clinical Psychology, 50 healthy undergraduate students were asked to write about a past traumatic experience. Doing so was found to relieve stress and improve their immune system. "Short bursts of complaints are preferable so stress hormones don't build," O'Leary says. "If you're prone to holding things in and then having a rant, practice writing down what's bothering you at the end of the day and if you see an issue show up two days in a row, know it's time to address it directly." You catch more flies with honey than you do with vinegar, or so the saying goes. So it's no surprise that frequent complaining can negatively impact your relationships. But not speaking up about something that's bothering you can also end up souring a relationship — and present itself as a bigger issue in the long run. "If a friend hurts your feelings, and the relationship is important enough to maintain, then complaining constructively can help you to move past the issue," explains Amy Cooper Hakim, Ph.D. "If you don’t talk about the incident, then hurt feelings will fester and you will grow distant. But, if you do talk about it, and share how and why you were hurt, then your friend has the chance to apologize and to make things right. The relationship will get deeper and you will feel happier since you are no longer carrying the weight of the situation." But it can be a challenge to navigate the exchange, and ensure that your complaint is received constructively by the person on the other end. Hakim echos the sentiment of the Clemson study, recommending that we come from a place that has a plan of action. "When we are given specific suggestions to fix the situation, or the opportunity to discuss how we might work together to make things better, then we have hope," she explains. "That hope impacts our mindset and our belief that we can move forward positively in the relationship. This is true in work relationships and in personal relationships. When we provide constructive feedback, explaining how specifically to change so as to improve the situation, then mood and performance are likely to increase, despite the nature of the conversation. Both sides (the one providing the feedback and the one receiving it) feel better after such a positive and constructive interaction." "When we provide constructive feedback, explaining how specifically to change so as to improve the situation, then mood and performance are likely to increase, despite the nature of the conversation." 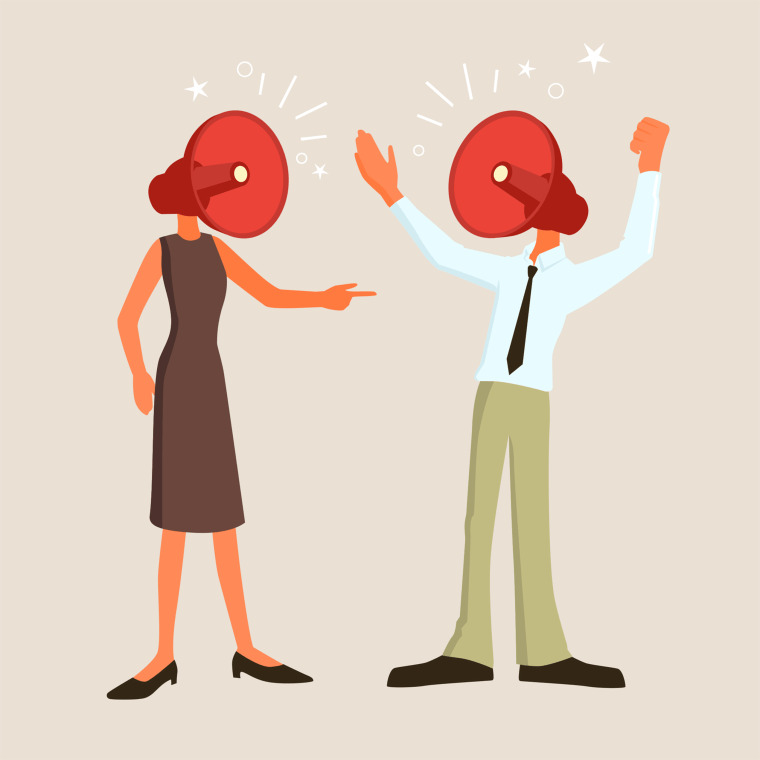 Complaining may even make you a new friend — if the person you're complaining to shares your dislike for the situation you're voicing a complaint about. "While it is not a great way to build intimate relationships, we do know that shared dislikes brings people together," Francis says. In a study done at the University of South Florida, researcher Jonathan Weaver found that having similar negative views bonded people. "Consider the current political climate," she explains. "If you complain about a particular stance or person and the other person feels the same way, you feel validated, and they feel an affinity towards you. As social creatures, we are wired to look for commonalities to determine kinship and community. We trust people who see the world in similar ways as we do, because we assume they will also hold similar values, have similar goals, and will be unlikely to harm or betray us." Portraying yourself as being on "their side" can also make you appear as an ally. A study done by the University of Oklahoma and University of Texas at Austin found that having a common enemy was effective in forming a bond between two people. "By saying 'I don't like this,' you clarify yourself as 'one of us' rather than 'one of them,'" Francis explains. When gearing up to voice a complaint, it might seem like the logical approach is to harp on the undebatable facts of the situation — say, for instance, that your friend is late and kept you waiting ... again. But Alicia Clark, PsyD, practicing in Washington, DC, says that the most effective way to have your complaint understood and yield a response that brings about change is to create empathy with the person you're complaining to — or about. "Facts invite your listener to think about them and agree or disagree, whereas feelings invite your listener to understand." Focus on feelings, not facts. "The difference comes down to whether you discuss the facts about a situation or your feelings about it," she says. "And while this may seem a minor difference, it sets up a big difference in what you will receive from your listener that can, in turn, have a big impact on how you end up feeling. Facts invite your listener to think about them and agree or disagree, whereas feelings invite your listener to understand. When we are complaining, we are unhappy and want to feel better. We are looking for compassion and understanding, not debate and judgment. People want to know why something matters, and we are wired to respond with empathy when we hear people describe their feelings or why something matters to them." Talk through what's frustrating you. Say, for example, that you're late to work due to unforeseeable issues with your commute. According to Clark, the way to talk about it with your boss isn't to give a rundown of what happened, but instead share how these events impacted you. "Did you misjudge your timing and were frustrated with yourself by the route you took? Did you get distracted and leave later than you should have, escalating your worry? Did you kick yourself after forgetting to check Waze, and driving headlong into backed up traffic? Talking about how a situation affected you, how you felt, and what you were frustrated about, gives your listener something to relate to when it comes to complaining," says Clark. "And the more they can relate, the better able they will be to empathize with you and offer the support you’re seeking." Utilize "the complaint sandwich," where you stick your negative complaint between two positives. Sandwich your complaint. Another effective strategy for complaining to bring about the change you're seeking is to utilize what psychologist and researcher Guy Winch calls "the complaint sandwich," where you stick your negative complaint between two positives. For example, take the steak you ordered medium rare at a restaurant that comes out well done. Kicking your complaint off with a positive (I've heard the steak here is top notch, and I'm really eager to try it), followed by the complaint (but I ordered mine medium rare, and this steak is well done), and closing it up with a positive (I had my heart set on having this steak cooked medium rare, is there anything you could do?) will be better received because you're making you server understand where you're coming from. Lead with how you feel. "People don’t like to hear complaints, they want to hear your feelings," says Clark. "Feelings promote empathy, which in turn promote feelings of compassion and generosity, both key elements in producing change. Make sure to tell how the situation is impacting you and how you are feeling (including your desire to find a solution). This will help them understand best where you are coming from, and how they can help."